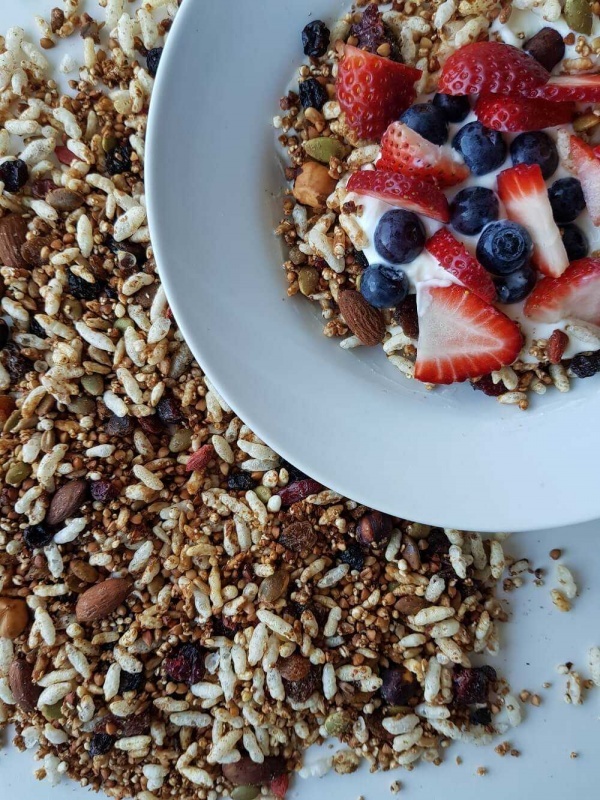 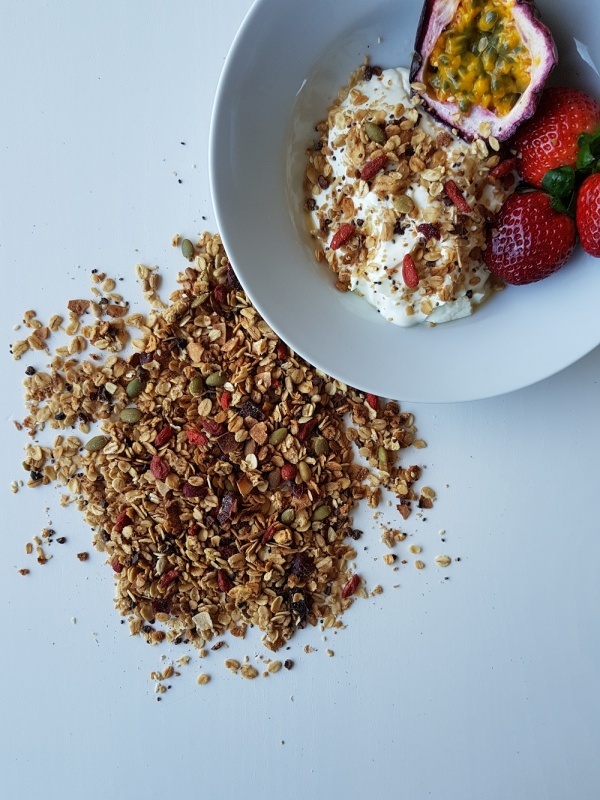 This traditional blend of muesli is the original breakfast mix, based on the recipe first crafted in the early 1900's by Swiss physician Maximilian Bircher-Benner. 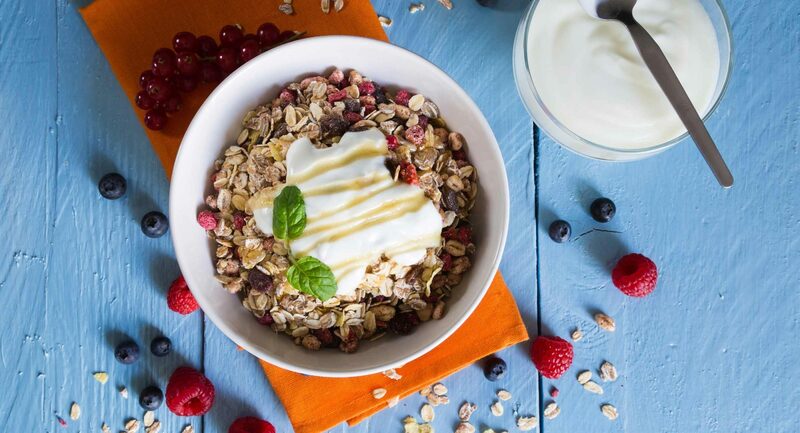 The ideal way to serve our Bircher muesli is soaked overnight in apple juice, with a side of natural Greek yoghurt in the morning. 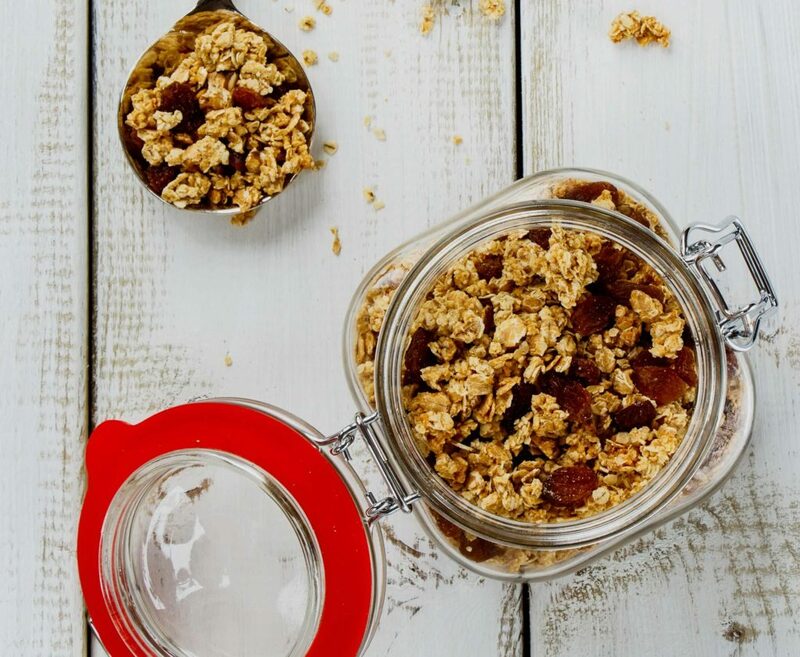 This softens the muesli making it easier to digest and gives it a crisp and fruity flavour. 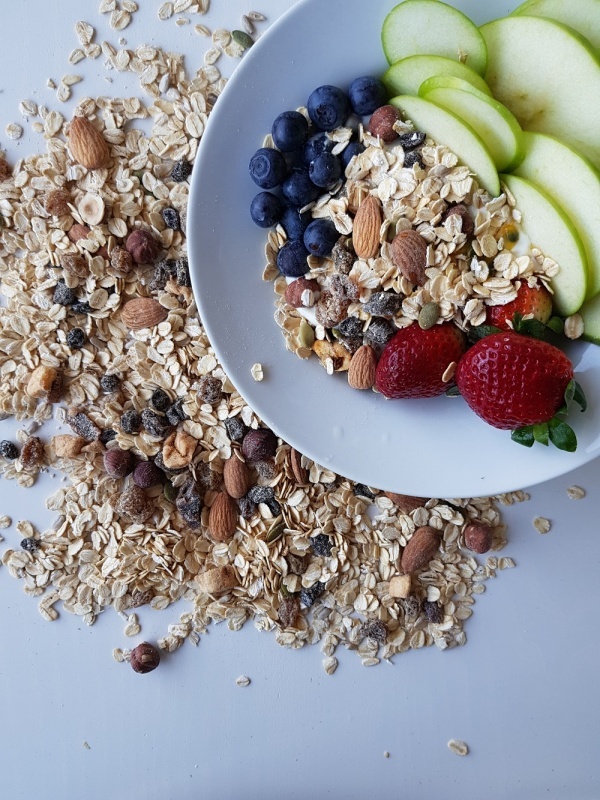 Formulated by our in-house Dietitian and Nutritionist, this vegan superfood muesli has a balanced blend of highly nutritious ingredients - complete with a handful of unrefined cocoa nibs added to batch, and is the perfect flavoursome breakfast or all day snack. 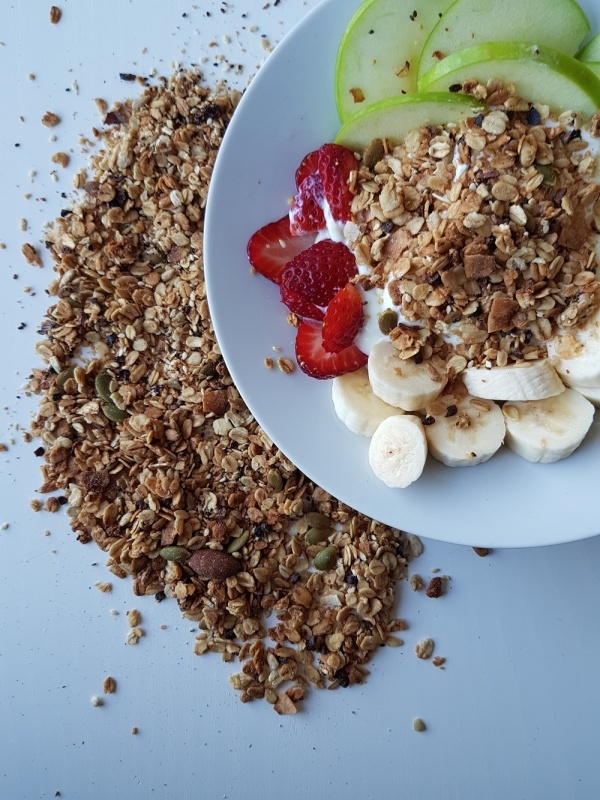 Hand mixed and measured to achieve the perfect balance, this product is 100% vegan, and free of nuts, sulphites and artificial anything!